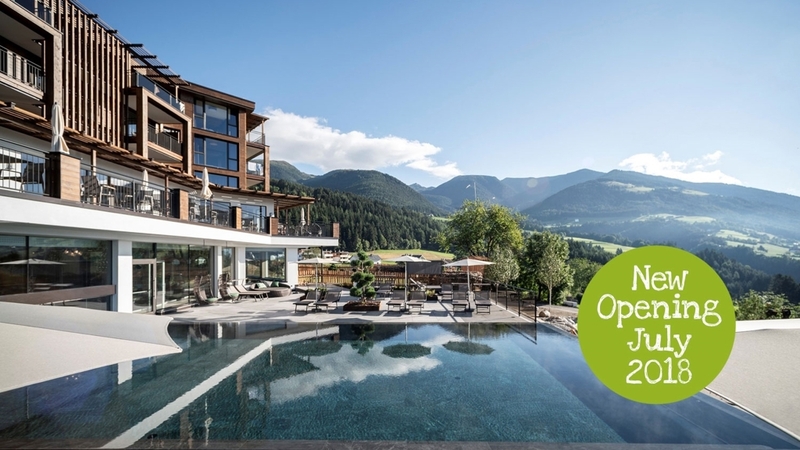 Family-run hotel with adjacent farm in a quiet and panoramic position in the heart of Pustertal, ideal for families, active vacationers & relaxation lovers. 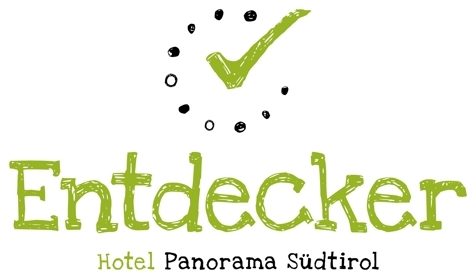 Welcome to Entdecker Hotel Panorama**** in Kiens! Our affectionately family-run Entdecker Hotel Panorama**** is located in Kiens in Pustertal, in a sunny and quiet panoramic position. The personal and familiar atmosphere, the comforting ambiance and the magnificent Southtyrolean natural landscape turn our hotel into the ideal place for well-being holidays with the family. Our guests are offered comfortable ad spacious rooms being equipped in an individual and comfortable way. In our bright dining room, you may experience delights for all senses. For our delicious dishes of the typical Southtyrolean cuisine with Italian and international influences, we make use of regional products, mainly from our proper farm. In our wellness area you are offered a Finnish sauna, a herb scented sauna, a bar with refreshing drinks, a panoramic relaxation room, a cold after-sauna pool, a unique bucket shower and a whirlpool. Beneficial massages, treatments and baths are offered, too. In summer, you may try a refreshing jump in our new alpine pond. In the Hotel Panorama in Kiens, mainly families are feeling comfortable. A playroom, a playground in the garden and the animals on our farm provide fun and entertainment for our little guests. The environs of the hotel offer a variegated programme for leisure time activities all over the year. In summer, you may find excursions, mountain bike tours, cycle paths and a swimming pond in the immediate environs. In winter, you may look forward to the slopes of the Mt. Kronplatz skiing area, sledge runs, winter hiking trails and much more. Double bed with balcony overlooking the farm grounds, wooden flooring, TV/SAT, fridge, safe, electric kettle & hairdryer. Bathroom with shower and WC. Double room with balcony facing the Val Pusteria / Pustertal Valley, with extra bed (on request), wooden flooring, TV/SAT, fridge, safe, electric kettle & hairdryer. Bathroom with shower and WC. Family room with large double bed & window overlooking the farm grounds, balcony, wooden flooring, comfortable living room with TV/SAT, fridge, safe, electric kettle, hairdryer, bathroom with shower, hand basin plus separate WC and bidet. Family room with large double bed & window facing the Sambock (mountain), balcony, wooden flooring, comfortable living room with TV/SAT, fridge, safe, electric kettle, hairdryer, bathroom with shower plus separate WC and bidet. Family room with balcony facing the Pustertal Valley with large bed, wooden flooring, comfortable living room with TV/SAT, children’s room with double bunk beds, wardrobe cabin, fridge, safe, electric kettle & hairdryer. Spacious bathroom with double hand basin for the adults and children. Shower & separate WC. Family room with balcony facing the Pustertal Valley, wooden flooring, comfortable living room with TV/SAT, children’s room with double bunk beds, wardrobe cabin, fridge, safe, electric kettle & hairdryer. Spacious bathroom with double hand basin for the adults and children. Shower & separate WC. Spacious family suite with 360° panoramic view of the exterior, children’s bedroom with 3 beds, comfortable living room with TV/SAT, fridge, safe, electric kettle & hairdryer. Large bathroom with double hand basin for the adults and children, bathtub, shower & separate WC with bidet. Single Room with balcony overlooking the farm grounds, wooden flooring, TV/SAT, fridge, safe, electric kettle & hairdryer. Bathroom with shower and WC. Inviting standard room in the traditional style at the farmhouse with shower/WC and telephone. Also ideal for families. Spacious, traditionally equipped standard room at the farmhouse with shower/WC and telephone. Also ideal for small families. The centrepiece of our farmstay: large antique farmer’s room with wooden panelling, wooden furniture, telephone and shower/WC (1 meter next to the room). Also suitable for families with a double and two single beds. Comfortable apartment at the farmhouse – with double and twin room, kitchen, shower/WC, telephone and TV. Can be booked with half board, breakfast or dinner (at the hotel) on request! Large apartment at the farmhouse with double and twin room, kitchen, shower/WC, telephone, TV and balcony. Can be booked with half board, breakfast or dinner (at the hotel) on request!